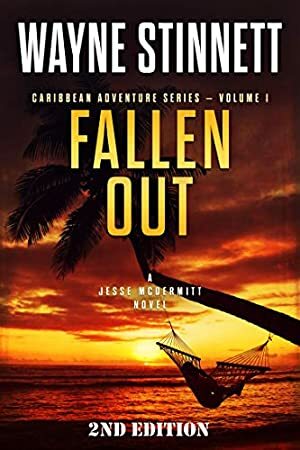 New Second Edition of the 1st novel in the exciting 14 volume Caribbean Adventure Series. When Jesse McDermitt retires from the Marine Corps at age 37, he has no idea what he will do for the rest of his life. He only knows he doesn't want to spend the coming winter anywhere cold. His greatest skill is killing people from up to a mile away and he knows there aren't many job opportunities in the civilian world for that. Danger lurks in the sleepy little town of Marathon, in the middle of the Florida Keys, as well as in the swamps of the Everglades. But danger doesn't expect to run into a man like Jesse. A man who will not only respond swiftly in facing it, but with a vengeance unexpected. Track It. This book has been $0.00 since we started tracking it. Log In to track Wayne Stinnett on eReaderIQ. to be notified each time the price drops on any book by Wayne Stinnett. to stop tracking Wayne Stinnett. We started tracking this book on February 15, 2019. The price of this book has changed 6 times in the past 63 days. The current price of this book is $2.99 last checked one hour ago. The lowest price to date was FREE last reached on April 15, 2019. The highest price to date was $2.99 last reached on April 18, 2019. This book has been $2.99 3 times since we started tracking it. We last verified the price of this book about one hour ago. At that time, the price was $2.99. This price is subject to change. The price displayed on the Amazon.com website at the time of purchase is the price you will pay for this book. Please confirm the price before making any purchases.